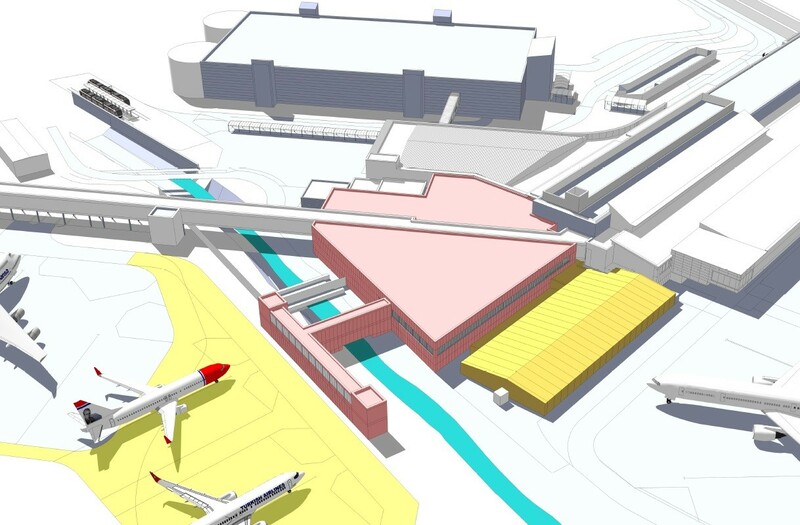 Edinburgh Airport has lifted the lid on a£50m airside investment programme which will triple capacity of its baggage and immigration facilities. 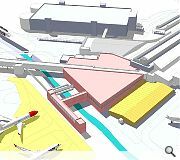 Work on the phased development will begin this week for delivery over the next five years in order to accommodate a growing number of larger long-haul flights, necessitating the construction of new aircraft stands and air bridges. A temporary Archial Norr designed 2,000sq/m ‘rapid-build’ immigration hall will be built by June as part of the first phase of works, around which a bigger structure will be built by 2020. An architect has yet to be appointed for successive phases. Prime minister David Cameron, who toured the airport ahead of work commencing, said: "The expansion of Edinburgh Airport is great news for Scotland and for the whole of the UK. It will open the door to more long-haul flights and new routes, meaning more tourism, more trade and more jobs for people here in Edinburgh and beyond. 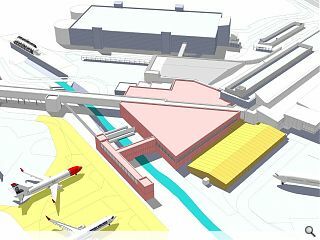 The work follows delivery of a new terminal extension delivered last year. Please can someone other than Archial get the job for the future phases? When you see the standard set by other European capital cities' airports (Madrid Barajas, latest parts of Paris CDG, even Heathrow T2) the clunking grey sheds bolted on here look frankly embarrassing. Egbert .... These are usually all sewn up by framework agreements. Architects will work for a client for a few years doing bit and pieces hoping for a larger project within their appointed agreement duration. Sadly you are right ... this will probably be a flat roof / Arne Jacobsen section with little architectural aspiration .... or is that unfair ?